I recently tried the SchoolhouseTeachers.com’s Yearly Membership offer and I was completely blown away by the website.Not only do they offer you a complete list of Elementary Homeschool Courses, Middle School Homeschool Courses, and High School Homeschool courses, you can also download PDF files of the lessons and print them. 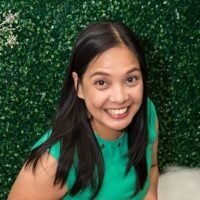 I usually steer clear of web resources that require a child to be online to work on the activities because I’m a full-time work-from home mom and I use the computer primarily for my work. I don’t want the kids to have to wait the whole day before they can get their hands on their homeschool materials, so I’m glad that most courses in SchoolhouseTeachers.com have PDF downloadables. Since we’re already in the third quarter of the school year and we already have a set of materials that we’re using to meet DepEd requirement (Department of Education), I thought anything Geography would be best to get the kids, at least the older two, excited about resuming our homeschooling after the holidays. After all, Lukas has been poring over maps and Pablo has been talking to us about traveling the world for some time now. So I downloaded Wonders of the World for my 4/5th grader and All About the World for my second grader. You can find both in the list of Geography lessons under Elementary Homeschool Courses. All About the World is divided into 8 units. Each unit has text studies and key desk activities to enhance the learning. Wonders of the World discusses 15 amazing Ancient and Modern places all around the world, from the Colossus of Rhodes to the Panama Canal. Each topic has a set of copywork activities, coloring pages and tests. It also has other fun desk activities such as Word Searches and Word Scrambles to help the child remember the details that he read. In between texts are suggested activities to make the learning more fun and dynamic. 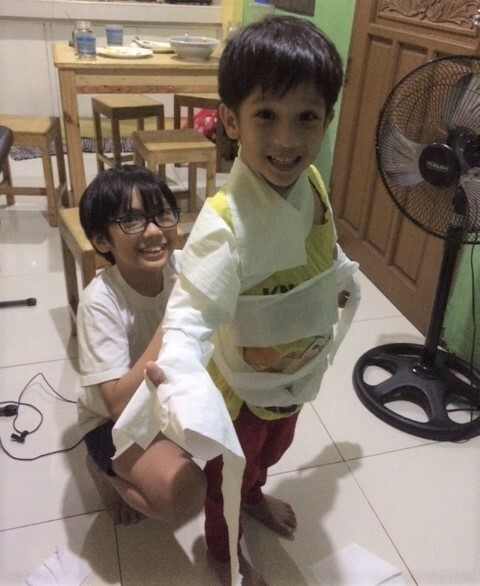 During these said activities, I asked Lukas and Judah, our Kindergartner, to join their older brother so that they, too, may pick up a thing or two from their kuya’s lessons. When you’re homeschooling three kids, it helps when you discuss topics together. There’s something about learning together that keeps them hooked for longer periods of time. So yeah, I may have not printed Geography lessons for Judah, but he sure was very much involved when his brothers wrapped him in tissue in their attempt to make him a mummy when we studied about the Pyramid of Giza. The beauty of SchoolhouseTeachers.com is that they provide course introductions and suggested outlines in case you need help in instruction and implementation. And once a child has completed a course, you can download and print Certificates of Completion for your portfolio. What I love about All About the World is that it’s not too text-heavy. In Unit one, it discussed the different continents and the different major oceans in single paragraphs for each, and the activities were age-appropriate and colorful. I was right to choose Wonders of the World for Pablo, too. He loved that there isn’t more than a page’s length of text for each world landmark, and he loved the stories that went with each one. One of Pablo’s struggles in learning is that he remembers the stories but it is sometimes difficult for him to remember names of people and places in the books that he reads. The material’s copywork sheets are great because they condensed the most important details into a sentence or two for the child to copy which should help in retaining these new information. More and more and more rich materials to use! The website has so much more to offer than just Geography lessons, I tell you. I got excited when I browsed through the videos and found a whole course on Apologetics for mid-school graders to high school. If there’s one thing we want our children to learn, it’s to understand why we believe what we believe and be able to explain the gospel much clearly to those who need to hear. Navigating the site is easy and sort of addictive, haha! 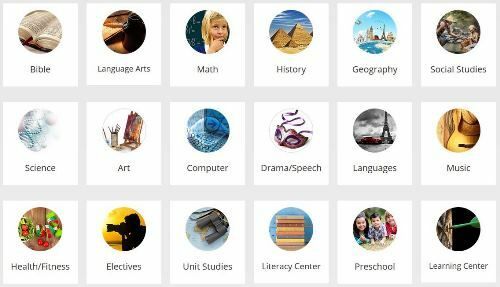 If you’re looking for homeschool parent support, SchoolhouseTeachers.com has that pat down. From providing their members with different homeschool planners, tutorials and assistance for those with special needs. And before I forget, SchoolhouseTeachers.com provides access to colorful and comprehensive World Book E-books. Unfortunately, they can’t be downloaded, so we will have to wait until we have an extra laptop for the kids to use for their homeschool before we can use them. Yearly Membership for SchoolhouseTeachers.com is 139 USD which is roughly around Php 7,000. A friend of mine was selling me her unused set of books for 5th grade at cost at Php 11,000, and that’s just for one child. Schoolhouseteachers.com does not charge on a per child basis. It’s a one -fee-for-all deal which makes it even more irresistible. Since we already invested on a printer with continuous ink supply and a binding machine a couple of years ago, Php 7,000, give and take, to spend on their lesson materials for all of my three kids and then some is not bad at all! To know more about SchoolhouseTeachers.com, visit their official website or check out the other reviews from the Homeschool Review Crew HERE. Pdf is nice, I tried online lesson din and nakikishare lang sa laptop ko anak ko, so mas ok kung pwede iprint. My son learned Geography when he was in Preschool, sayang lang wala na nung lumipat siya ng school. 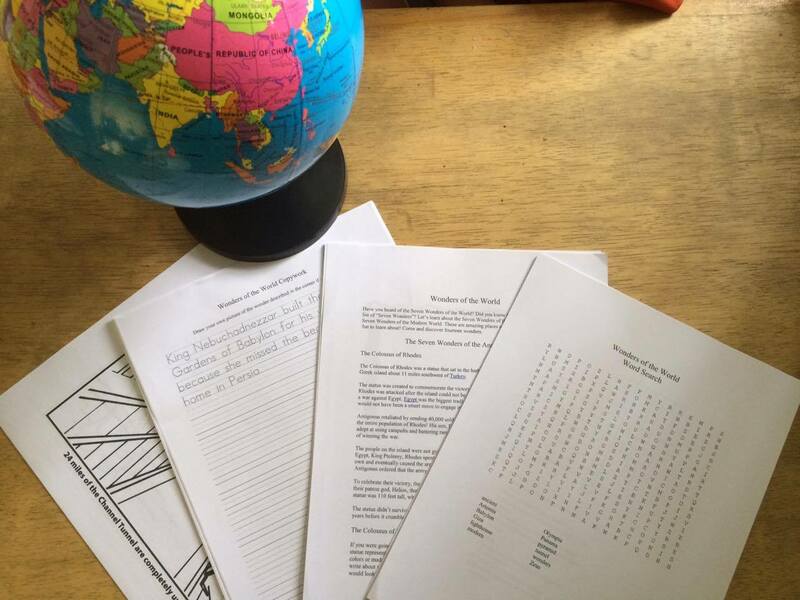 So he learned through our travels and sometimes I print free worksheets. Awwwe. I admire parents of homeschooling kids. I don’t know, I just don’t have the patience to teach. That’s a good deal for Php7k than buying individual books. Yun nga lang you still need to print. That’s 7K for three kids for us, not just one kid. 🙂 And we have already invested in a printer that prints thousands of pages for a lower cost ink and a binding machine. We’ll more or less spend 10K for materials for all three kids. I am contemplating on homeschooling our youngest as I know I would have lots of time by then. My three boys would be in college and high school and they could manage their studies more or less. I find homeschooling practical plus I could be real OC so with me as my son’s teacher, I know I would give my best. Mommy May, we’re still praying if homeschooling is for us.. hats off to homeschooling “working” mom like you sis. 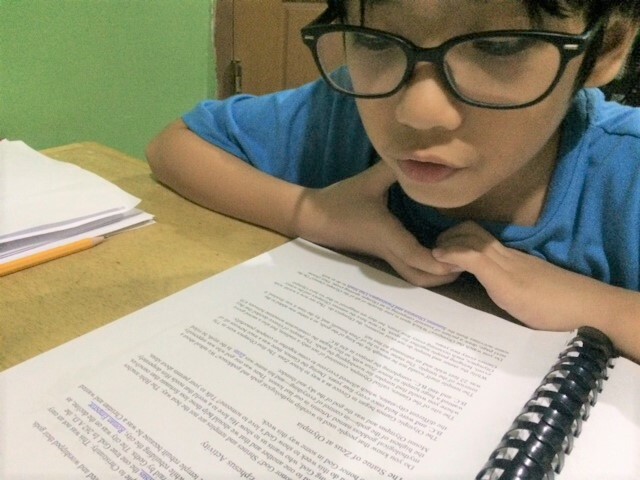 God bless u more for sharing with us your Homeschool journey…i am so panicky with my failures not to follow entirely deped esp about Civics but i guess this is the BEST ever literature on geography..